Small call centers have many of the same challenges as large ones. However, solutions such as a quality monitoring software system may seem out of reach to a contact center that doesn’t have the same resources as its larger counterparts. This may be a fallacy- it is possible for even small call centers to reap the benefits of quality monitoring. Associate performance and customer satisfaction are key metrics that need to be tracked in any call center. In smaller call centers, this may be done casually, through informal monitoring and management. You can really level up your organization by implementing formalized quality monitoring. 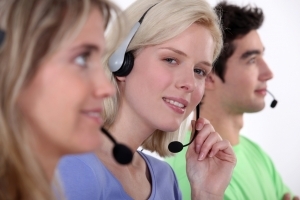 Quality monitoring puts a process and a framework around call center management. You can have customer contacts recorded and reviewed objectively, and the data provided back to management. This highlights any deficiencies, identifies training needs, and allows for associate recognition. Quality monitoring can also provide valuable insights about your customer. You can measure and manage the level of customer satisfaction after interactions with call center associates. This can help the business make key changes to improve performance and better align with customer needs. Of course, implementing quality monitoring software in a small call center is not without its challenges. These include the high cost of many software systems, as well as the constraints of an “off the shelf” system. To overcome these, small call centers should focus on finding and evaluating software solutions that are flexible and able to be tailored to the client’s needs. This will allow you to cherry pick the features you want and need, without paying for things that your call center is not going to use. You should design your solution to be scalable as your call center grows. Quality monitoring is crucial for efficient and optimal operations of a contact center of any size. In order to make sure that are getting the best results out of your small contact center, you will want to work with an experienced quality monitoring partner. To find out more about a customized call center monitoring software solution for organizations of any size, contact the experts at Evaluate Quality, founded by Sage Advantage. Whether you are in the Phoenix or Scottsdale AZ area or anywhere in the United States, the experienced team at Evaluate Quality can help implement a software service that is right for your needs. Evaluate Quality is headquartered in the Scottsdale/Phoenix area and has helped many contact centers throughout the United States better optimize their call center quality monitoring. With Evaluate Quality, you can ensure that your call center is operating at maximum efficiency. Contact Evaluate Quality now for a no obligation demonstration of their quality monitoring programs.